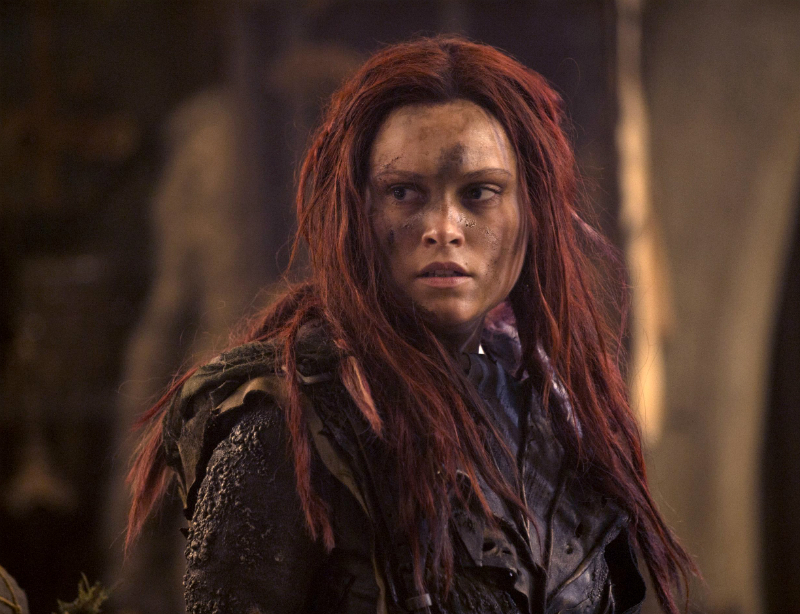 Three months after the conflict with Mount Weather Kane learns that a bounty has been put on Clarke’s head, threatening to end the fragile truce between the Sky People and the Grounder tribes. Elsewhere Clarke makes her way on her own, and Murphy emerges from a bunker to find Jaha transformed. Three months have passed since the tragedy at Mount Weather and our heroes learn that a bounty has been put on Clarke's (Eliza Taylor) head. Unbeknownst to Clarke, a team led by Bellamy (Bob Morley) and Kane (Henry Ian Cusick) journeys deep into Grounder territory to save her. Meanwhile, Murphy (Richard Harmon) finds his way to the mansion and discovers a very different Jaha (Isaiah Washington) on a very different mission. Paige Turco, Marie Avgeropoulos, Devon Bostick, Lindsey Morgan, Ricky Whittle and Christopher Larkin also star. Dean White directed the episode written by Jason Rothenberg (#301).